With the biggest sporting event of the year looming, the company has something to prove. As the 2018 FIFA World Cup gets ready to kick off June 14th, the 32 international teams competing in Russia aren't the only ones preparing for the big event. Fans are too, and Twitter wants to be the online place where they stay up to date on all the action. After striking deal with Fox Sports, the World Cup TV rights holder in the US, Twitter will offer users access to exclusive video content. That includes real-time highlights, player interviews, pre- and post-match press conferences, as well as a daily show called FIFA World Cup Now that will livestream 27 episodes. And outside of the US, Twitter has partnerships for live shows and highlight clips in Australia, Brazil, France, Indonesia, Mexico, Spain, Taiwan and the UK. Given the scale of FIFA's tournament, which reached 3.2 billion viewers during 2014 (when Twitter still hadn't launched its video features), having these rights is a major win for the company. Especially as it continues to make a huge push into live original programming. Just a couple of weeks ago, Twitter revealed a partnership with another giant sports network, ESPN, which will pave the way for a slew of live shows on the site -- including a mobile-only version of SportsCenter. That was the latest move in Twitter's plan to break into the video-streaming entertainment scene, which also includes teaming up with the likes of the NFL and The Oscars on exclusive shows for its users. As meaningful as those partnerships are for its business, though, the World Cup is on a different scale. It's a massive global event that only happens every four years. By working with Fox Sports in the US and other networks such as Televisa in Mexico, Twitter is betting that the event can not only help it bring in new users but also show advertisers and publishers its potential as a platform for both conversation and consumption. Twitter's efforts to grow beyond being just a microblogging service are clear, as shown by video stats it shared recently. The company said that it streamed over 1,300 live broadcasts in the first quarter of 2018, with 80 percent of those reaching its worldwide audience. Those numbers are key because it wants to appeal to users beyond the US. Out of Twitter's 336 million monthly active users, 267 million of them are international. That's why it was important for it to find World Cup partnerships in other big markets like Brazil, Mexico and the UK. Twitter has realized that it is the perfect medium for live events, and that's why it's investing so heavily in the World Cup. The company's bread and butter has always been live reactions to breaking news. It's space that Facebook or Snapchat simply can't compete in. And Twitter is leaning into that role hard, in hopes of becoming the place to watch whatever live event sparks your interest -- whether that's the World Cup, an awards show or the news. What Twitter hopes to accomplish, eventually, is that you use its app as more than just a second-screen experience. And even though during the 2018 Russia World Cup you'll only be able to watch highlights and a daily show, don't be surprised if Twitter is competing for the full video rights to future FIFA tournaments down the road. Because it's obvious that it wants to be the primary source of news and video for its users, along with offering them a platform where they can tweet their feelings away about how good (or bad) their favorite team is. 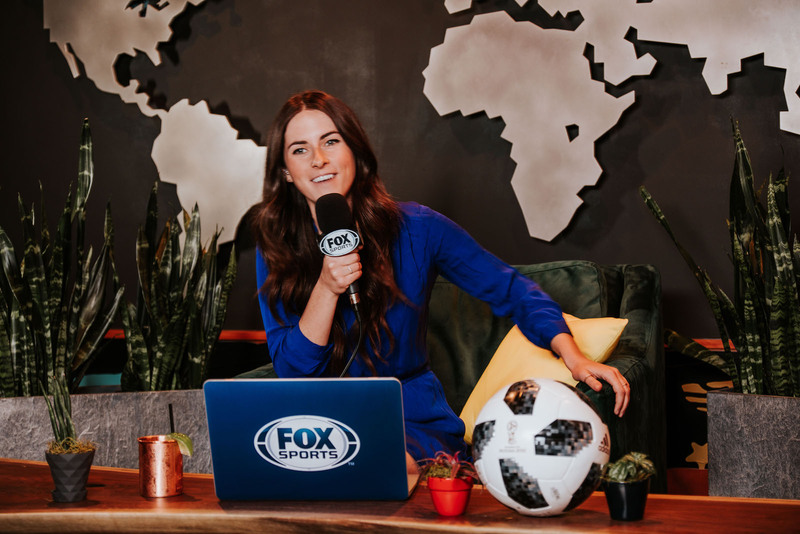 Although Snapchat will have some World Cup content to compete for attention in the US, the fact that Twitter managed to work with Fox Sports to create a daily show from Russia gives it an edge over its social media rivals. FIFA, soccer's governing body, is very protective over its intellectual property, so Twitter having access to those licenses will make sure its users can get an endless amount of highlights, GIFs and other video clips from Russia in real time. The odd company out is Facebook, which is surprising considering that it is investing a billion dollars in video. A Facebook spokesperson said that while the company doesn't have a paid partnership with Fox Sports or Telemundo (the Spanish rights holder) in the US, it still expects both networks to publish some content on its site -- though it likely won't compare to Twitter's. Sources familiar with the negotiations tell Engadget that Facebook tried to get involved but ultimately lost to Twitter and, to a lesser degree, Snapchat. Last year, it was reported that all of these social-media giants were offering "tens of millions" of dollars to Fox for exclusive access, and clearly Facebook fell short. Alex Josephson, Twitter's director of global brand strategy, said that the World Cup presents a great opportunity for the company because of the unique levels of user engagement. He claims that while other social-media sites will see a 1 to 2 percent decline in user visits and time spent during major live broadcasts, Twitter actually sees a 4 percent increase, whether it's a sports game or an awards show. Josephson attributes these results to Twitter being about "what's happening now. If something is happening and it's resonating across the world in real time," he said, "that's really where our platform is at its best." Giorgio Chiellini (left) and Luis Suarez (right) after "The Bite." Of course, part of Twitter's charm are the viral moments and memes that can spread like wildfire. That, along with people's real-time reaction to events, is what makes Twitter different from its rivals, Josephson said. Users know that they can always go to Twitter to see what their friends (or strangers) are thinking about funny or controversial moments from games. He pointed to the 2014 Brazil World Cup when Uruguay's Luis Suarez bit Italy's Giorgio Chiellini during a game, which was obviously a large topic of conversation. Or when Germany beat Brazil 7-1, a scoreline that was unexpected and generated more than 35 million tweets. Moments like that are, naturally, unpredictable. But Josephson said that's the beauty of the World Cup and what will keep Twitter's essence flowing. Kenneth C. Wisnefski, CEO and founder of social-media marketing agency WebiMax, said that with the 2014 World Cup generating a record 672 million tweets (including 32.1 million in the final match), there's simply no other event that's more important to Twitter. He said that not only does this open up advertising opportunities that are off the charts, but it gives the company a perfect way to lure in new users. The downside to that is that most users probably don't want brands ruining your experience with their cheesy tweets. "Twitter is to social media what CNN is to breaking news on television," said Wisnefski. "People have become programmed to enjoy a second-screen experience on Twitter, [and] the immediacy of the responses allow for a constant conversation. You can't get this same type of interaction on Facebook or Snapchat. It's ideally built for sports." He added that since most games will air during normal work hours in the US, anyone remotely interested in the World Cup will likely look to Twitter for live updates and highlights, rather than Facebook or Snapchat. "If people know Twitter has the most up-to-date free coverage available," he said, "they are going to want to take advantage." For now, Twitter will be hoping for another Luis Suarez-esque moment, or a painful beating like the one Germany handed Brazil on its home turf in 2014, that will give people something to talk about in the moment and for hours after the fact. But, whether that comes to be or not, there's no question that the company is going all in on the 2018 World Cup. And it should, because unlike most other sporting events, FIFA's beloved tournament only comes around every four years.